Aon’s Marta Carreira-Slabe sees today as the point in her career where she can help more women, including Latinas, into leadership roles. Marta Carreira-Slabe has been a professional career woman for thirty years. The first chapter of her career began during the late 1980s as a television news reporter and then anchor for WCIA-TV in Central Illinois. She later decided to pursue the law, went back to school, and worked at a large Chicago law firm before landing in her current role as chief counsel for Aon’s business in Latin America. In early 2018, after an Aon regional business meeting, several women approached Carreira-Slabe to compliment her on her composure during a presentation. For Carreira-Slabe, the feedback from female colleagues was the nudge she needed to leverage her experience and position to help other women at Aon, no matter where they are in their careers. So, earlier this year, she led the launch of the Aon Women’s International Network (WIN) chapter for Latin America. Aon established the WIN business-resource group ten years ago to foster women’s professional growth, aid women in their career advancements, and work as a benefit to clients by sharing innovative ideas. There are eighteen chapters in North America and another launching in Poland. Aon’s WIN chapter for Latin America is initially focusing on Mexico and Brazil, where there are significant employee populations. Aon senior executive sponsorship has partnered with Carreira-Slabe to provide the women of Latin America a platform to grow professionally and develop friendships with each other, clients, and with their business colleagues. “The network in Latin America has developed so quickly based on the demand we see for this type of support firsthand,” she says. 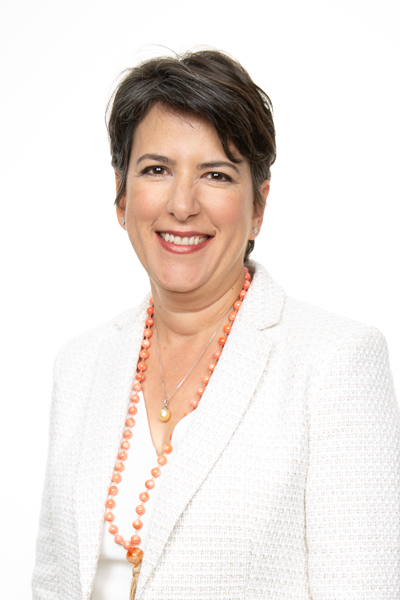 “The partnership with our human resources colleagues has also been critical to ensure this becomes a part of our culture and what we do on a day to day basis.” Carreira-Slabe would also love for the initiative in Latin America to further build community with Hispanic colleagues in North America to reveal and leverage the power of women in the Americas. During a 2018 trip to Mexico, Carreira-Slabe heard promising young women call for more help in building their confidence and connections. She found that many of her female colleagues want to listen to successful stories from other women at every level of the business and learn from their experiences, whether those are successes or mistakes. She also discovered that these women desired to have their accomplishments better recognized. Additionally, many women said they’d like coordinated events to connect with clients and similar WIN chapters at the national and regional level. At Aon this year, the top two hundred leaders, which includes Carreira-Slabe, incorporated D&I objectives into their annual goals. “We will be a more productive and innovative firm because we foster diversity in an open environment,” Carreira-Slabe says. From WIN to D&I, this all adds up to Carreira-Slabe’s goals as a global leader and making Aon a place that supports and celebrates its employees. As a champion and advocate for others, Marta Carreira-Slabe shares six insights that she has gained throughout her career that anyone, at any level, can utilize to prosper and get ahead. “This is where confidence comes from and is really important in career development. When I have done very well and hit it out of the ball park, I was comfortable being myself and I wasn’t pretending to be someone else’s perception of me.